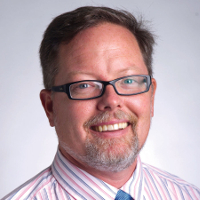 This Week's Meeting: John Ellersick Talk! 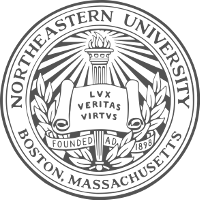 We are the Northeastern University student chapter of the American Institute of Chemical Engineers (AIChE). 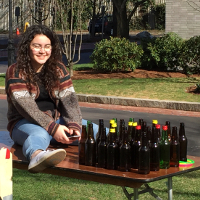 NU AIChE serves to connect chemical engineering students with Northeastern University faculty and staff, professional engineers, potential employers, Northeastern University chemical engineering alumni, and each other. We work to promote excellence and quality-of-life in the chemical engineering department through professional networking events, educational activities, and social events and outings. For more information on these events, check out our News and Upcoming Events page. We also host NU ChemE Car, a group which competes in a national competition to build and operate a chemically powered vehicle. For more information about NU ChemE Car, you can go to there page here. NU AIChE uses an active member policy to determine who can vote in executive board elections. To be considered an active member, all you need to do is attend three meetings and one of our events per semester. For more information about all of NU AIChE's policies, please refer to our constitution here, and our current bylaws here. Congrats to NU AIChE for being named an Outstanding Student Chapter by the national association for the 2017-2018 school year. Thank you to all of our hardworking and dedicated AIChE members for making it happen. You can read more about this incredible accomplishment here. 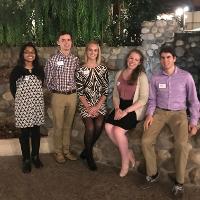 Congrats to our E-Board members who attended and presented at the AIChE National Student Conference recently in Pittsburgh! To see a list of selected past events, click here. 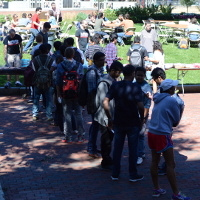 The COE Jamboree was a college-wide activities fair hosted by NU AIChE. COE student groups gathered together to host games and activities, eat, and mingle with fellow engineers. 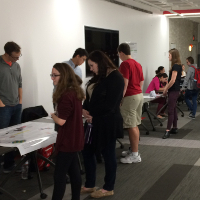 This community-building event was a huge success and NU AIChE hopes to make it an annual tradition. Our annual spring Co-op Mixer is an NU AIChE tradition. We invite co-op employers to come table and recruit students for the next co-op cycle, while students are encouraged to come network and learn about potential employers. Employers that have attended in the past are Alexion, HH Technologies, TEL, and Saint-Gobain. 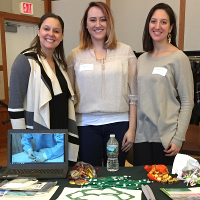 The Professor Research Expo gave professors a chance to introduce students to the research they are doing on campus. Topics included reaction modeling, material science, and carbon capture technology. Our semi-annual town hall gives the chemical engineering student body a chance to give feedback to the department on their experience during the year. A representative from the department will speak about department updates and then students are encouraged to share their feedback with the department, so that any issues, concerns, or suggestions can be addressed in the future. Each year, the Boston AIChE chapter invites representatives from the Boston-area student chapters to attend a professional AIChE meeting. 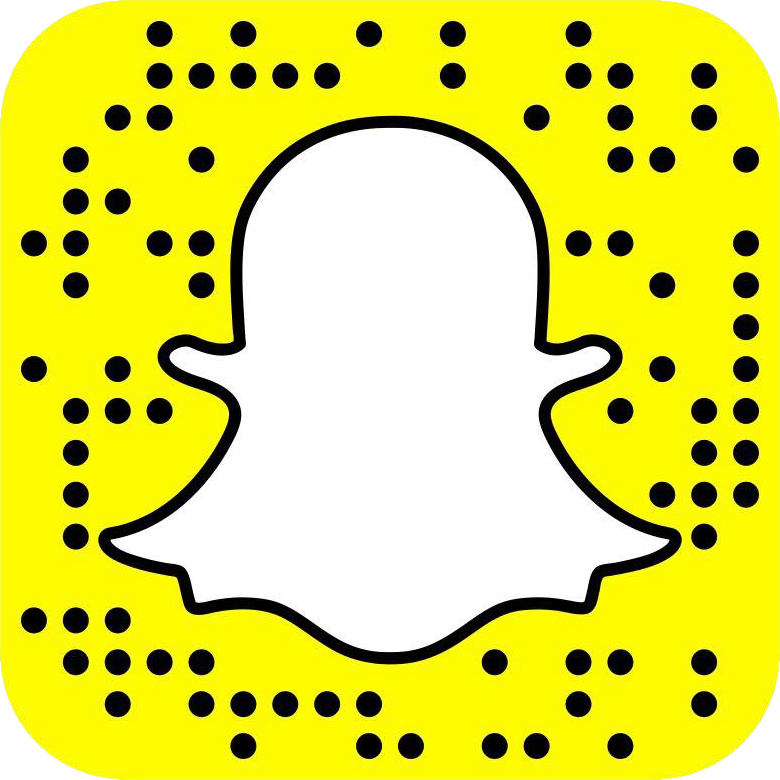 The meeting includes dinner with chemical engineering professionals working in the Boston-area, a presentation from a Boston AIChE guest speaker, and an awards ceremony for student group achievements. We collaborate with BMES for the annual fall Co-op Career Fair to ensure that students in both chemical engineering and bioengineering have the chance to network with companies that may offer positions appropriate to both majors. 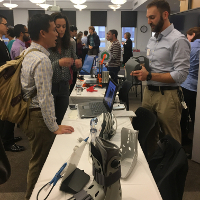 We had over 15 companies in attendance who were interested in hiring chemical engineers or bioengineers, giving students a chance to explore job opportunities in both fields. 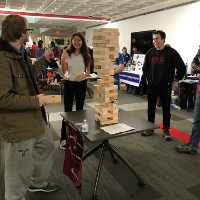 The ChemE Carnival sponsored by NU AIChE offered chemical engineering students and faculty a chance to mingle, play carnival games, win prizes, and have some fun before the stresses of finals hit. NU AIChE hosts many presentations from co-op employers each semester, including companies like PulMatrix, Amgen, and PM Group. Companies speak about their industry, company, and opportunities for co-op positions, and students have a chance to network with employers. Each year, the Chemical Engineering department partners with AIChE to host a Welcome Back BBQ during the first week of fall classes. Students are encouraged to come take a break from class and mingle with other chemical engineering students and staff while enjoying some BBQ. This area is under construction! ChemE Car is a sub-group of AIChE that designs and builds a miniature car powered and controlled by chemical reactions. We offer students the opportunity to apply practical engineering skills in a design project that culminates in a competition with other schools around the nation. Throughout the year, the ChemE Car team explores the design process from start to finish including: initial research of chemical reactions, development and scale-up of those reactions, and implementation into a final design. ChemE Car is primarily composed of Chemical Engineering majors, but there are ample opportunities for all types of engineering and STEM majors to contribute. The team meets once a week during the fall and spring semesters; however, weekly attendance is not mandatory. If you are interested in learning more or becoming part of the ChemE Car team, please feel free to subscribe to our mailing list, attend a meeting, or email either of our student captains.